Your big day doesn’t need to compromise your environmental passions, it can still be a beautiful and special day whilst being a planet strong event. Weddings are well known for being extravagant events that are reported as excessive in nature, however, there are a few couples around the globe that have proven that extravagant doesn't necessarily have to mean excessive. 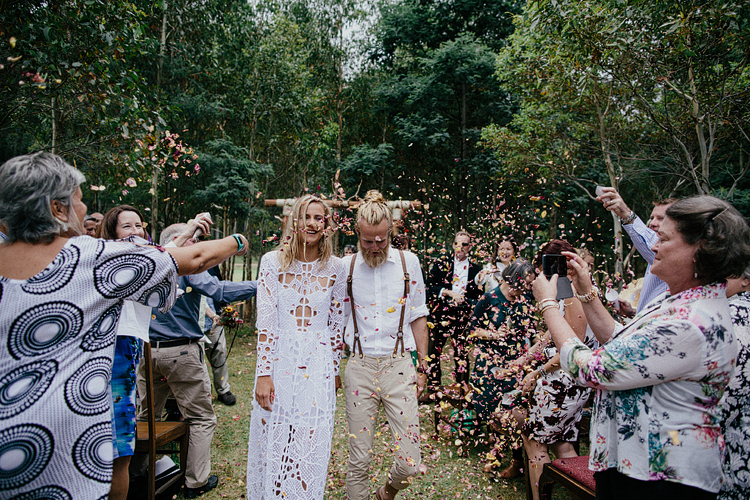 Two weddings in particular that have given us inspiration on how to keep the celebrations beautiful whilst the footprint close to invisible are UK couple Kim and Dan Woolnough and Australian couple Kat Kleu and Michael Malone. The Woolnough's wanted their wedding to be waste free and low cost, everything from the dress which was a pre-loved number found on gumtree and tailored to the bride to the food, an amazing feast of rescued produce, they teamed up with English organization Real Junk Food Project who divert food destined for waste and use it to create delicious healthy meals. 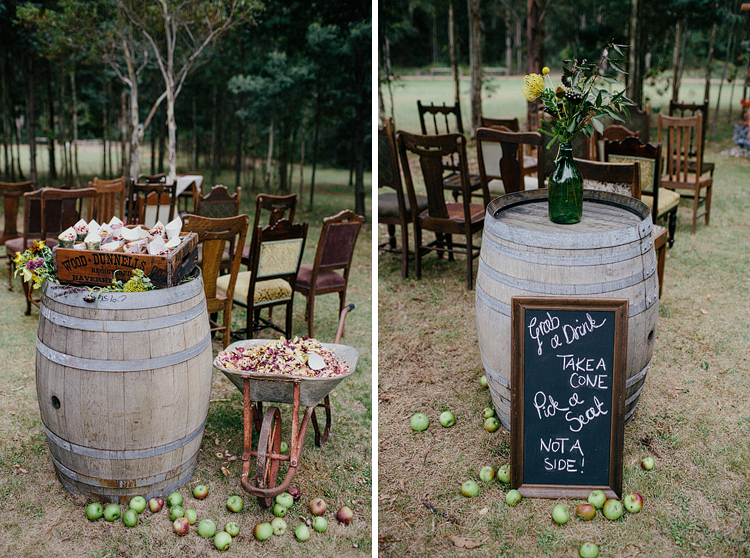 Kat and Michaels's wedding had a similar ethos but it was centred on the ideas behind organic and handmade materials. The bride, a pastry chef, made the cake whilst the groom brewed the beer. 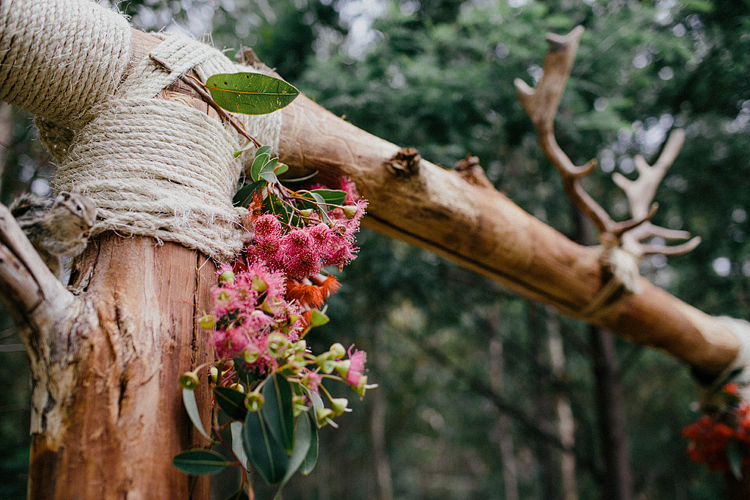 The couple spent months in the lead-up to their big day hand making decorations, drying their own rose petal leaves to use as confetti, foraging local native flowers and building the alter from fallen branches. 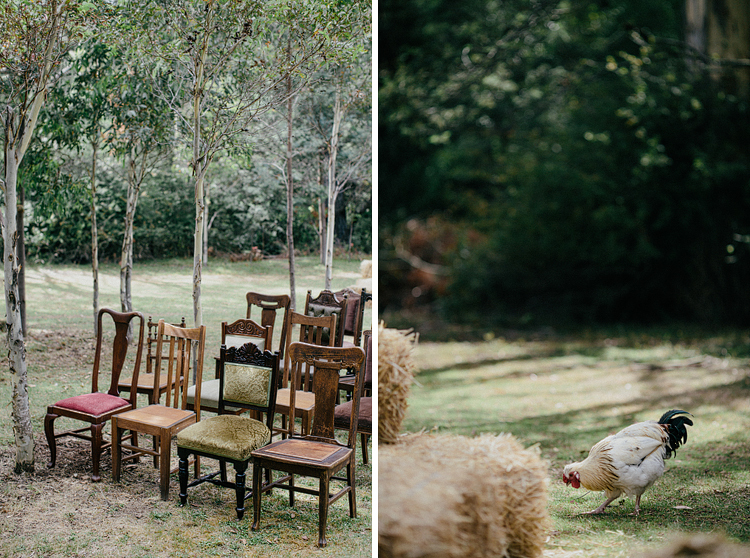 They used recycled chairs that were salvaged from op-shops as well as laying out hay bundles for guests to sit on. 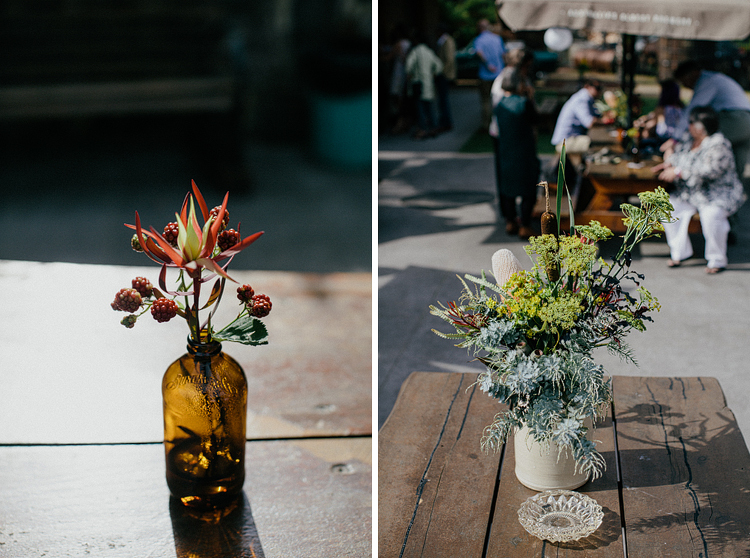 The foraged flowers were displayed in up-cycled jars and bottles. 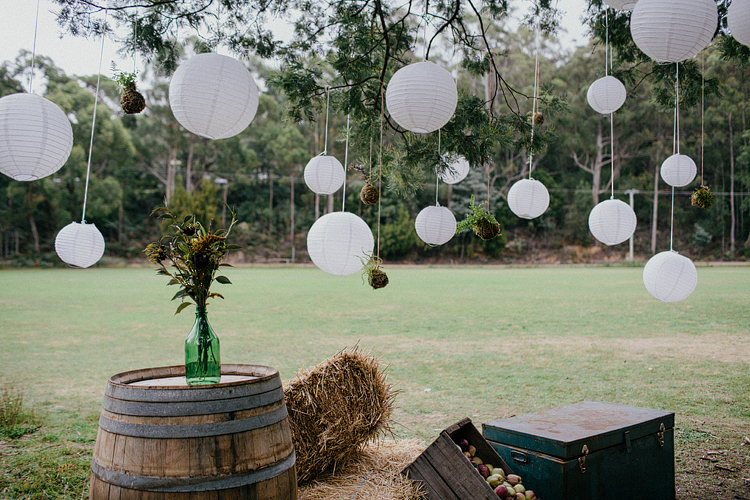 The bride spent months making hanging string plants and recycled paper balls to keep everything nature-friendly for the outside event. These weddings got us thinking, how can we rethink the model of wedding excess to plan a wedding with the lowest carbon footprint ? In Australia, 523kg of food waste is thrown out per household every year. This colossal waste of food can have a devastating impact on the environment; everything from the water and energy wasted to grow it, to the impact it then has in landfill once thrown out. Having a wedding doesn't have to mean huge amounts of wasted food, there are multiple options to cut down food waste. - Get in touch with a local organisation who save food that would otherwise be thrown out, then get in touch with a great chef and let the plant-strong magic happen. Most likely this will not only have a positive impact on the environment, but it will also have a positive impact on your wallet - If you organise a grazing table or buffet style banquet for your guests have a station of up-cycled glass jars next to it with a sign that encourages guests to take home some leftovers, they can have a delicious lunch at work the next day and reminisce how perfect your waste free day was.- Get in touch with a local charity that collects leftover food and distributes it to those who are doing if rough, here in Australia we have OzHarvest who will come and collect leftover food and distribute it to women, men and children all over the country who are doing without. Get crafty! Weddings have a tendency to have some pretty environmentally damaging decoration trends, confetti, for example, is just tiny little pieces of plastic that contribute to landfill, balloons are in the same vein. Here are some ideas that can be beautifully hand made and replace nasty single-use plastics. - Instead of printing wedding programs, string up some recycled menu boards (you can normally find these at junkyards and second-hand shops) this way you can sand them, paint them and decorate them. Hang them around with beverage options, menu choices, time programming and even cute messages for your guests. - Opt-out of exotic, out of season flowers that need to be shipped halfway across the country and instead forage your own native in season blooms. They'll save you money save the strain on mother nature and look perfect on your big day. We all want to feel amazing on our wedding day, we want to look perfect and feel amazing. But that doesn't need to be at the cost of the planet; there is a host of gorgeous wedding ideas that will create a stunning look without a negative impact. 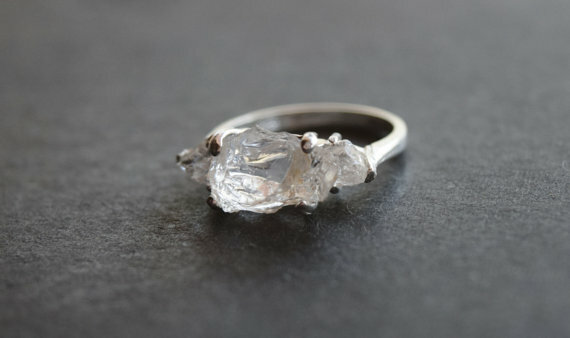 - The ring: I know that diamonds are traditional in the world of blooming love but the environmental and social impacts of diamond mining are hard to ignore. More and more companies are designing lab-created, conflict-free, sustainably-minded diamonds, they're worth keeping in mind. - Wedding dresses and bridesmaid dresses are something that most people want to be absolutely perfect and they still can be without ending up in landfill. Perhaps opt for something second hand? The beauty and craftsmanship of vintage lace is hard to go past. Otherwise, maybe choose something that is beautiful, simple and well made that you could wear again? Or have tailored after the day into something more casual. - If your fairytale wedding just absolutely needs a huge white gown that you feel like you will never wear again, consider donating it after the big day. Angel Gowns operate in countries around the world and repurpose wedding dresses into angel garments for babies who never make it home from hospital, making beautiful burial clothes for families who have suffered terrible losses. 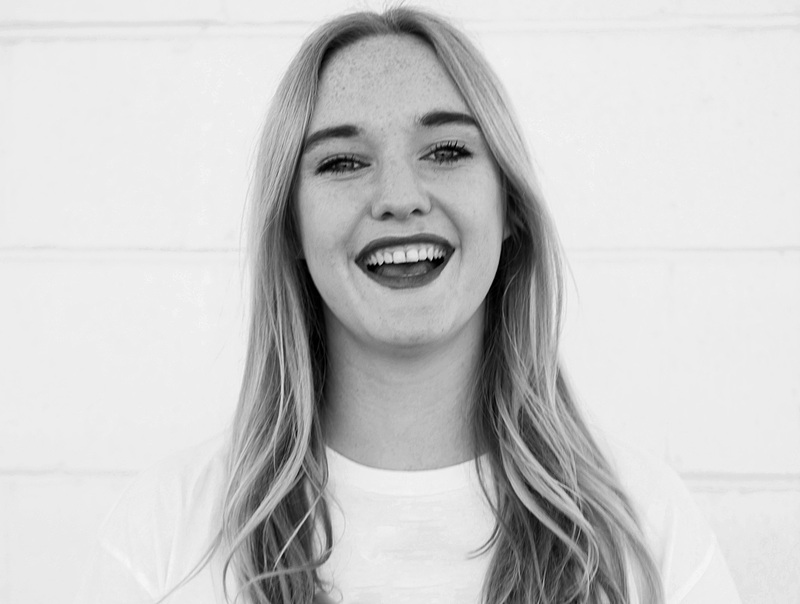 Thinking about the planet doesn't have to mean not having a great time and celebrating important moments it just means thinking about how your actions could be tweaked in order to have as less of an impact as possible, with these tips you can always start to come up with similar ideas that fit your celebration.